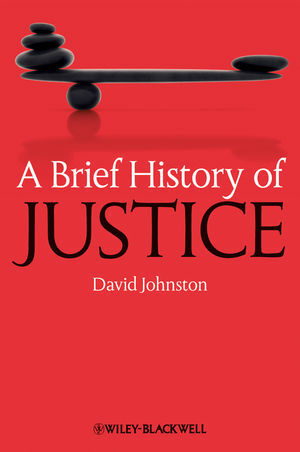 A Brief History of Justice traces the development of the idea of justice from the ancient world until the present day, with special attention to the emergence of the modern idea of social justice. David Johnston is Professor of Political Science and formerly Joseph Straus Professor of Political Philosophy in the Department of Political Science at Columbia University. His books include The Rhetoric of Leviathan: Thomas Hobbes and the Politics of Cultural Transformation (1986), The Idea of a Liberal Theory (1994), Leviathan: A Norton Critical Edition (ed. with Richard Flathman, 1997), and Equality (ed., 2000).